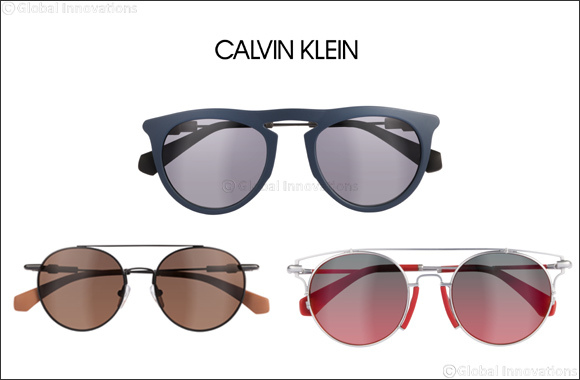 The latest women’s and men’s Calvin Klein eyewear offers distinctive new designs, mixed materials, and bold colorations that exemplify the essence of this iconic brand. Inspired by the brand’s sophisticated look, the new eyewear collection combines both vintage and modern lines with iconic Chloe detailing to create a fresh, elegant style. Artisanal design techniques are combined with glossy finishes for a retro spirit and contemporary appeal. The new Marni eyewear collection is inspired by a sophisticated vintage style, using fluid lines to create stunningly elegant looks. The contemporary vibe is elegant through the use of simple yet bold shaping and enhanced by the finest materials, exclusive detailing and refined colors. The new eyewear collection from Ferragamo reflects distinctively timeless elegance, placing an accent on exclusive materials and details that exalt luxury and individuality in each and every design. Unique color blocking and superior craftmanship elevate the balance between form and function, transforming each style into a true statement piece. A fusion of fashion-forward flair and artisanal quality, this new collection features transformational shapes, framing the iconic paisley pattern in a new light. Exquisite materials are elevated by fine workmanship and bespoke details that accentuate the sophisticated yet whimsical charisma of Etro, enhancing the brand’s essential balance between aesthetics and functionality. High-tech design and contemporary elegance distinguish the new eyewear collection by Karl Lagerfeld. Chic and sophisticated shapes with exquisite materials an iconic details daringly set each and every design apart. The new eyewear collection combines technical quality with contemporary styles to create a sophisticated, versatile look that mirrors the brand’s heritage an dynamic, sporty character. Refined materials are used to create lightweight yet functional styles, with elegant color combinations and unique stylized logos. The details are inspired by 1980s style graphics and iconic Lacoste clothing. Emblematic for its savvy fusion and glamour, femininity and modern point of view, the Liu Jo eyewear collection features a new and appealing array of fashion-forward frames flaunting exquisite materials and desirable details, elevating elegance to the next level. Inspired by details from the emblematic Longchamp bag collection, this new eyewear collection features feminine shapes, vibrant colors and innovative designs. Each style embodies the brand’s characteristic elegance while honoring the heritage of the brand and traditions of excellence, making a true fashion statement. The Longchamp woman shares the brand’s vision of style and active fashion, where the details and finishes, like the relaxed comfort and pleasure of wearing them, make the difference. Sophisticated shapes and luxe details give this new MCM eyewear collection an inimitable and unique look. Inspired by the brand’s core philosophy of research and innovation, MCM celebrates fine craftmanship through a contemporary lens, always remaining on-trend. Balancing industrial design with vintage inspiration, the new and exclusive G-Star Raw eyewear collection is both urban and unconventional, boasting bold shapes, ultrafunctional materials and cutting-edge details that are as iconic as they are functional.